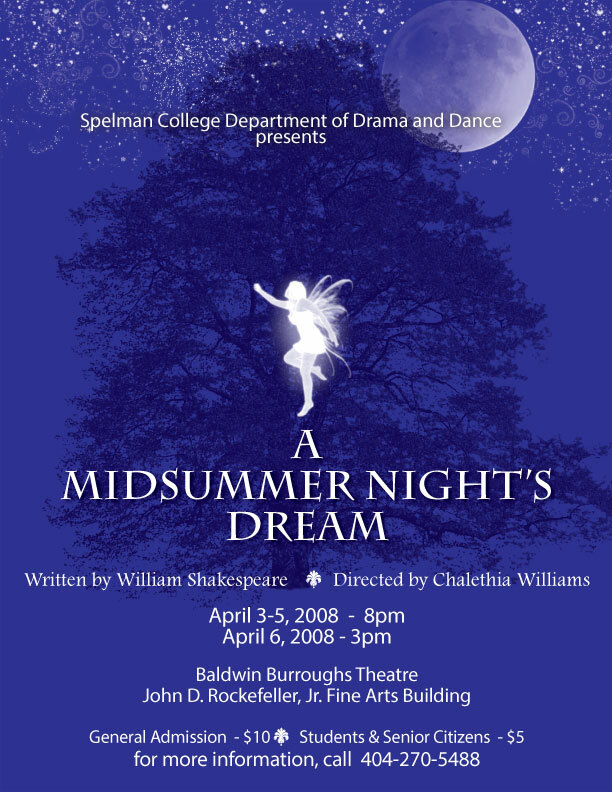 Challenge: Spelman College asked for two unique concepts for a poster for their production of William Shakespeare’s ‘A Midsummer Night’s Dream’ for their 2007 theatrical season. After discussing the concept with students and faculty it was clear they had very unique views of the project. Solution: I created two distinct versions for their review. Both feature a Titania central character in the layouts but establish unique tones. 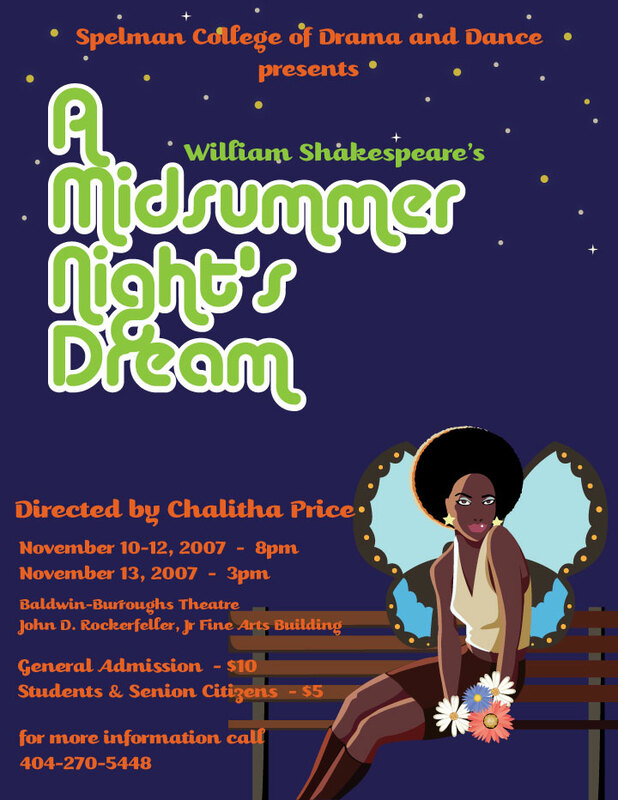 First is a custom illustration featuring Titania on a park bench. The second shows an ephemeral fairy as the focal point.